If you want to see something extraordinary, head to the city of Lowell and take a drive over to the National Historical Park maintenance building. You’ll discover a hidden, deeply personal treasure: Cambodian potter Yary Livan's outdoor, wood-burning kiln. You can find him out there working, too, eight to 10 weekends a year. Livan himself is a rare and valuable gem. He spent his life struggling to preserve his country's ancient traditions and culture. The 62-year-old is one of the only master ceramicists still at work after surviving the Khmer Rouge genocide in his homeland. And he's the only one known to be living and working in the United States. Under a wall-less roof, Livan smiles as his clay-dried hands feed cut chunks of wood to the glowing blaze inside his smokeless kiln. He explains it’ll take about half a day for the big, brick-and-mortar box to reach 2,200 degrees. 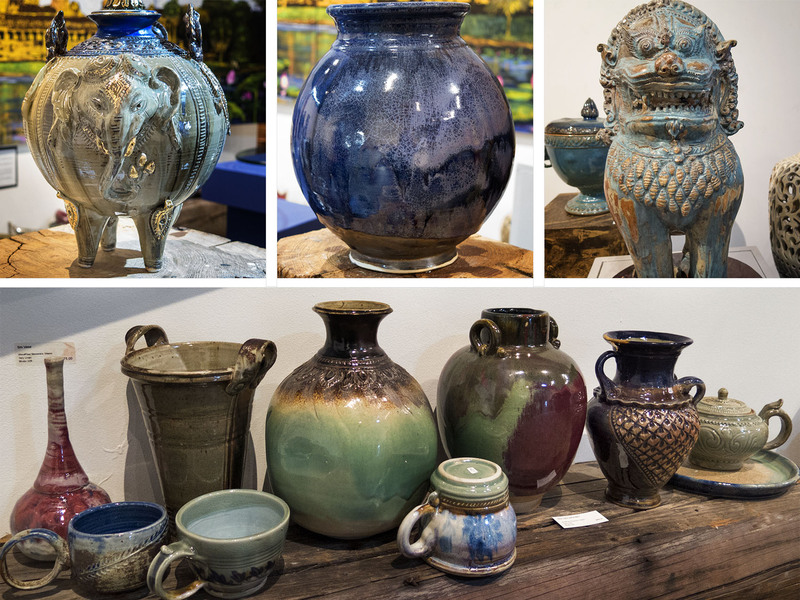 That’s the magic temperature required to transform earthen vessels and objects into vibrant, singularly-hued works of art. The artist peers at me through thick glasses. His face is shaded by a United Nations baseball cap. The fire’s crackling sound and charred smell gives Livan immense pleasure and, it seems, a sense of peace. He tells me he loves this kiln more than he loves his own house because he says "this is my dream." This artist is full of dreams, even after surviving a nightmare. In the 1970s, Livan was studying painting, drawing and traditional ceramics at art school in Phnom Penh. (As a teen, he had been assigned that vocation by the government.) Then Pol Pot took over Cambodia. The brutal Communist dictator forced the population into rural labor camps and would ultimately orchestrate the systematic executions of more than a million people. Pot’s Khmer Rouge regime was charged with “cleansing” the country of religion, economic gain and all forms of individualism. 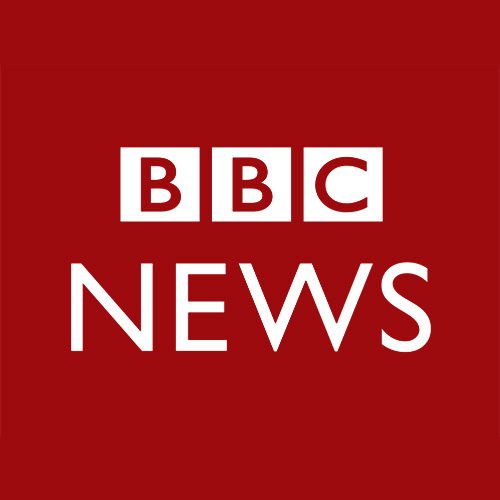 It targeted Buddhists, intellectuals and artists. Creative expression was forbidden, but Livan remembers figuring out ways to sketch ideas for pots and sculptures in secret. Livan escaped Cambodia in 1984 and spent nearly two decades at refugee camps in Thailand. Then the artist was granted political asylum by the United States and settled in Lowell. 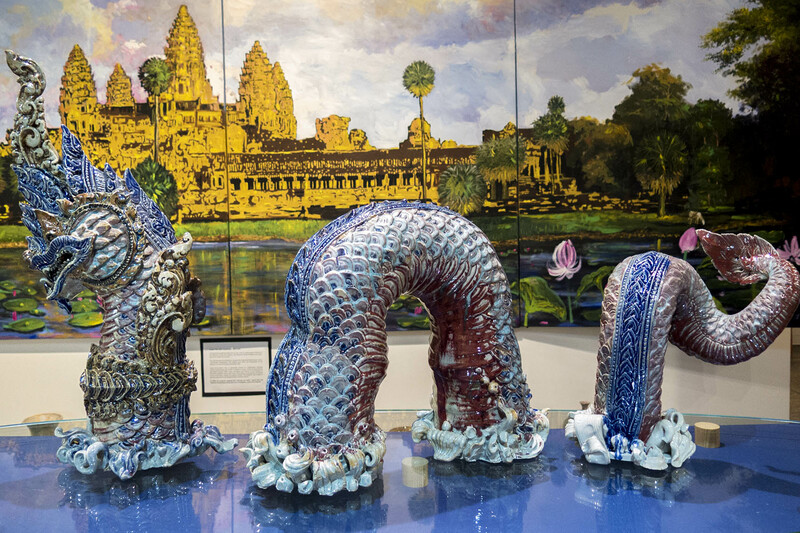 To this day Livan feels it’s his responsibility to keep making Cambodian forms and symbols — elephants, turtles, fish and flowers — that decorate the elaborate, historic temples in Angkor Wat. “The tradition is incredibly endangered,” concurs Maggie Holtzberg. She’s the folklorist for the Massachusetts Cultural Council and spends her days preserving traditional arts and culture throughout the state. Holtzberg says people and institutions rallied around the genocide survivor after the Cambodian Mutual Assistance Association announced his arrival here in 2001. Livan was able to do that in 2002 when Harvard University invited him to do a three-year residency to learn, in part, about contemporary ceramics technologies. 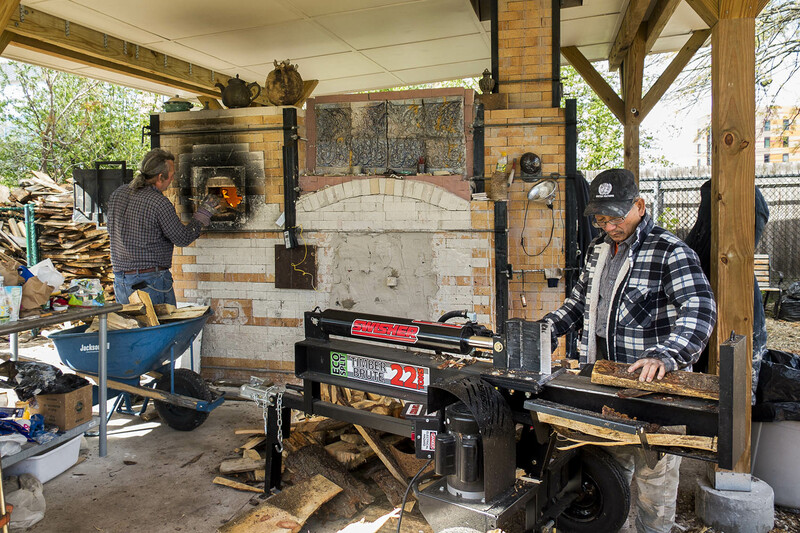 The artist was able to merge new and old approaches when the community supported the creation of his outdoor, smokeless kiln. Holtzberg was part of that collaboration, involving the city of Lowell, Middlesex Community College and the National Park Service. 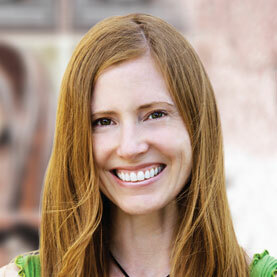 She also recommended Livan multiple times for the National Endowment for the Arts' National Heritage Fellowship, which is the country's highest honor in folk and traditional arts. He won it in 2015. This spring and summer the Smithsonian’s Sackler Gallery in Washington, D.C., displayed two of Livan’s pieces that will be shown again in an exhibition opening on Oct. 14. After visiting his smokeless kiln and workspace at Western Avenue Studios in Lowell, the Sackler's Asian ceramics curator Louise Cort says she selected an elephant-shaped jar because it evokes work done in 11th-, 12th- and 13th-century Cambodia. She also chose a pot with a muted, cream-colored neck and purplish, blue and ruby-colored glaze. 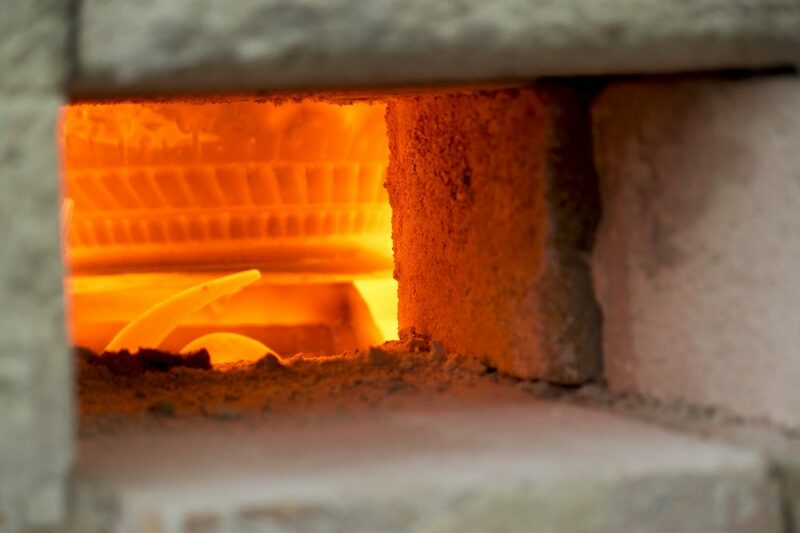 “As you walk around and look at the different sides of the pot, or turn the pot in your hands, the color changes subtly in a way only a wood-fired pot can do,” Cort said. Cort says while Livan has mastered new techniques and technologies, he still maintains a rare link to the past. “Yary Livan is one of the very few Cambodian potters who can still tell us how potters were trained in the Royal University of Fine Arts in Phnom Penh before the Khmer Rouge era,” the curator told me. Livan is well aware of that fact, and he worries about what will happen when he's gone. 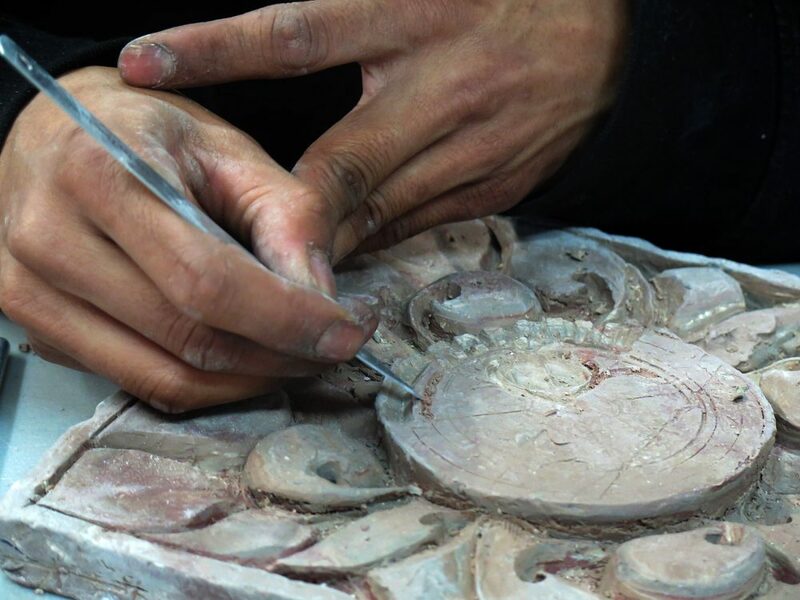 The Massachusetts Cultural Council shares his concerns, and supported him with grants so he could train apprentices on how to mold and meticulously carve tiles and ornaments with hand tools, the way Cambodian artisans did centuries ago. This gave Livan hope until recently when his apprentice suddenly quit the program. The setback leaves the artist's tradition hanging by the thinnest of threads — and it breaks his heart. 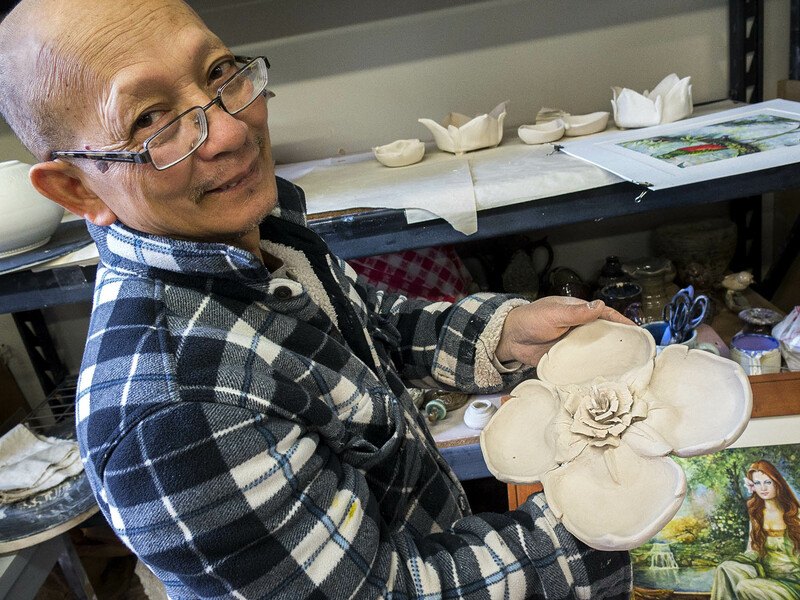 Now Livan’s plan is to host free, traditional ceramics classes for Lowell’s Cambodian community with the goal of finding his new apprentice. He also teaches general ceramics arts at Middlesex Community College and has a posse of loyal students who help at his outdoor kiln. That's where I meet John Kondra as he adds fuel the fire. With black work gloves and his graying hair pulled back in a ponytail, Kondra tells me he has a deep respect and marvel for Livan's perseverance. In his studio Livan showed me a turquoise-glazed whistle he crafted out of clay. He pressed it to his lips and blew a pretty but mournful tune that blended with the chirps of birds outside his window. When I think of the artist — of the life he's had, and of the way he feels now -- I hear that sound in my mind. And I picture him standing in front of his favorite Buddhist sculpture that sits in a shed just steps away from his kiln. A seven-headed dragon forms a rising cape that resembles a rattlesnake's hood, and it shields the enlightened being from behind. Livan told me it represents protection, and is a reminder that "people can get out from a bad thing to a good thing." Lowell's Cambodian population is the third largest in the U.S. and Livan wants the community to feel proud of their culture. He's not alone. The city commissioned him to create a Cambodian refugee monument that will be unveiled this September. The artist invites anyone to come, and says potters can bring their own clay works to be alchemized into something brilliant and surprising. Oh, and if you happen to go on Saturday, be sure to wish Yary Livan a happy birthday. He’ll be turning 63. This segment aired on July 28, 2017.